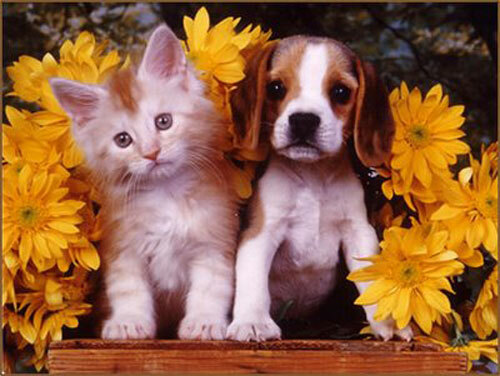 You are currently browsing the The Pet Product Guru blog archives for June, 2014. Should you be concerned about leaving your small dog out in the yard in an area where there are large hawks? I would say “yes.” A large hawk can lift 8 pounds or even more. If your dogs or puppies are small, never leave them alone not even one minute. Hawks have a fantastic eye and can see prey from very high up. Your dog may appear as prey such as a rabbit or other small animal. Even if the hawk can’t successfully lift the dog, it can leave some puncture wounds which can require stitches. 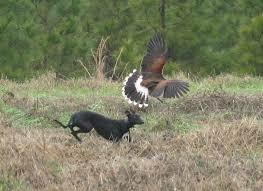 I know that Hawks are endangered species, but if one attacks your dog, you must protect him. Keep calm and try to step on the hawks wings and give kicks to its head. Hawks are stubborn and hold tightly on their prey. The best thing to do is always keep a Hawks eye out. If you see one in your area or circling above, take your dog inside to safety! How about some great country music today! All hit country on CONSTANT COUNTRY KRS.…You can find it on THE EDGEWATER INTERNET RADIO NETWORK! Did You Ever Consider Fostering a Pet? Sometimes instead of fostering a child,foster parents choose to foster an animal. These foster parents take in shelter dog and cats that are ill, not socialized or not yet weaned and turn them into healthy, loving, adoptable pets. By providing temporary homes, foster parents enable shelters to take in more animals than they would otherwise have room for. 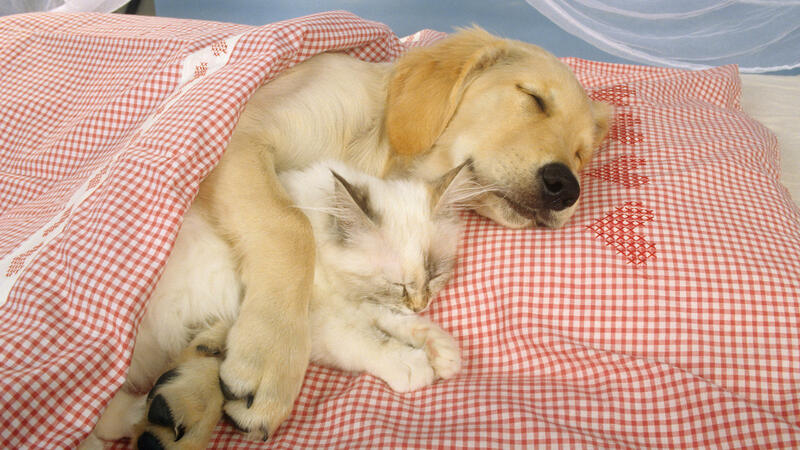 So if you have the time, space and love to share with a foster pet, contact your local shelter or rescue group. If your application is approved, you’ll attend training sessions to learn how to socialize, house train and maybe even bottle feed your foster pet. 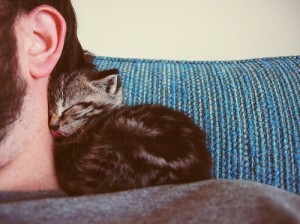 The hardest part of fostering is giving up your foster pet. After you put all of the effort and love into fostering a pet, it’s very tough to let them go to a new owner. Think of the wonderful service that you provided to that pet. A little love goes a long way! Summer music plays on EDGEWATER RADIO ..it’s part of the EDGEWATER INTERNET RADIO NETWORK! What Can Make Your Cat Vomit? If a cat swallows too much hair, they will vomit a hairball. This is normal and you will be able to see the hair when she vomits. There are remedies to prevent hairballs. Over the past couple of weeks, I’ve noticed that my older cat Molly has been vomiting once in awhile. I noticed that it was not hairballs. There are some culprits that raise my suspicions. I give my cats snacks every evening and because I spoil them, I usually give them a little to many. I noticed that when I give Molly a particular kind of snack, she’ll vomit. This doesn’t happen all the time but I did become a bit concerned. I realized that when I stopped giving her that snack, her vomiting stopped. Sometimes, dairy products or snacks can cause vomiting. Pay attention if your cat begins vomiting. There is usually a logical explanation. If the vomiting is accompanied by diarrhea, or she vomits consistently, there probably is another cause and the cat should be taken to your vet as soon as possible. If your dog is hyper when he his left alone, this can spell trouble for you and even your neighbors. Victoria Voight, an animal behaviorist at Western University explains why some dogs bark, chew and damage things while their owners are out. She says that most of the time that the dogs are destructive while their owners are away is because they have separation anxiety. 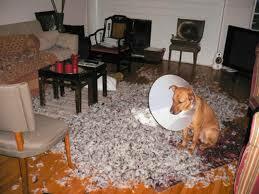 The destructive behavior is a way that the dog could get attention and access to the owner. To prevent this kind of behavior, Voight suggests to slowly acclimate your dog to being alone. Make sure that you exercise your dog regularly and provide enough toys make him get through the day. If this does not work, I would suggest that you call an animal behaviorist or ask your vet about medication. This would be a last resort. Before going this route, try working with your dog. Leave him alone for very short periods and give him a treat when you get home. See what happens but don’t lock him is his dog carrier or crate as punishment. That is about the worst thing that you could do! Great music for your summer on THE EDGEWATER INTERNET RADIO NETWORK! 1. Pet and stroke you cat several times everyday. They’ll let you know when they’ve had enough when she either falls asleep or jumps out of your arms. You’ll know that she is content when you hear her purr. 2. Pay attention to those cat meows. They usually mean that your kitty is hungry, or wants some attention. She may even be telling you that it’s time to change her litter box. 3. Brush your cat often. This is a great way to bond with her. Test out several different brushes to see what kind she likes best. Keep in mind some techniques may annoy them and some cats don’t like to be brushed at all. 4. Play with your cat everyday. Try different kinds of toys to see which ones she likes best. Playing strengthens the bond between the two of you. 5. Give your cat nicknames. They realize that you are being affectionate and will respond in a positive way like a rub, purr or meow. 6. Take time to cuddle with your cat. After a long day, I watch TV with my older cat Molly always sitting at my side. 7. If your are not allergic to cats, let your cat sleep in your bed . She will love it! Remember these things, after all your cat is part of your family and she will always feels loved when you include her in your life. 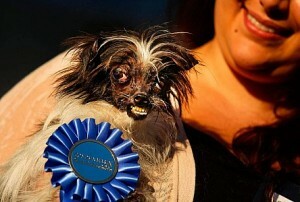 Peanut Voted The World’s Ugliest Dog. I don’t know if I would be happy or insulted if my dog was voted “world’s most ugliest” but at least the dog is getting lots of attention. The 26th annual World’s Ugliest Dog competition was held on Friday night. Peanut was the only dog that looks so demonic that he freaked out the judges. The press release stated ” With teeth protruding like a sea monster’s, a tail one judge likened to a stick of lipstick, and eyelids that never close, Peanut is the stuff nightmares are made of.” The owner rescued him from a shelter after he spent more than nine months scaring off would be adoptive families. It turns out that although Peanut looks like he’ll tare you apart, he is actually a very sweet dog who is really loved and cherished by his owner, Holly Chandler, who is an Engineer from Greenville, North Carolina. Kudo’s to little Peanut and I’m glad he is a loved little dog! All the music you’ll ever need can be found on THE EDGEWATER INTERNET RADIO NETWORK! Ultra sound is one of the most useful tools in veterinary medicine. It provides a three dimensional image of an animals entire abdomen. With this low stress, non invasive procedure a veterinarian gets a clear picture of every organ. Thomas Baker of the UC Davis Veterinary Teaching Hospital and a Veterinarian specializing in Ultra Sound technology says that the signs of an illness available in digital images can help a veterinarian pinpoint the problem early on. He says that the ultra sound enhances the clinical thought of the veterinarian. Using the information provided with ultrasound, your veterinarian can customize treatment to meet your pets specific needs. Diagnosis can be made early increasing your pets life and reducing the cost of pet medication that may not be treating the specific problem. Summer Is Here, Watch Out For Ticks! Ticks present a unique problem for people who make their home in a wooded area. The issue is further compounded for pet owners. 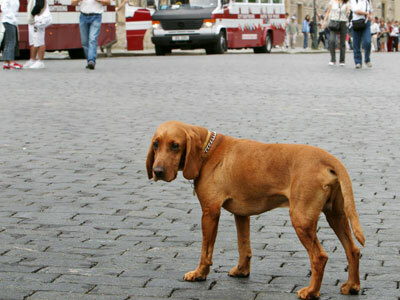 By their very nature, dogs are curious animals that seek to explore the territory around their home. In some cases this can mean picking up a few unwanted passengers. The best way to circumvent this problem is to invest in plenty of flea and tick spray. In the event that you forget to take precautionary measures, it may become necessary to remove a wood tick from your dog’s skin. Although the process is never pleasant, it’s relatively straightforward. Begin my donning a pair of rubber gloves and taking out a pair of tweezers. Wrap the tweezers around the tick’s head and pull firmly in a straight-out motion. Do not make a twisting motion, or the tick’s head may remain lodged in the skin. Great Internet Radio – Click and Enjoy! Constant Country KRS – Hot Country Hits, Yesterday’s favorites, Classics and New Releases! Dance Fever 54 – Disco and dance favorites – The station that keeps you on your feet! Starlite365 – Popular Standards from a past era – Sinatra, Keeley Smith, Ella Fitzgerald, Bing Crosby all the favorites that you used to find on “40’s on 4” on Sirius/XM—They’re gone but we have em all and lots more. You’ll love us! Thunder ROCK 101 – Our newest addition – Classic Rock with a touch of Modern Rock! Great variety! Is Your Dog Being Bullied in The Dog Park? 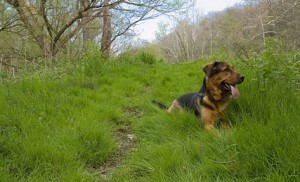 Your dog is always happy around you, other people and other dogs but scared around some dogs at the park. Is he being attacked or pushed around or pinned to the ground by other dogs? Is he always harassed by the same dogs at the park? Has he been bitten or hurt? Don’t tolerate this acts. Get to the root of the problem. As with humans, these acts can be both physically and mentally harmful. If necessary take him to another park. The music plays on all the time on all of our radio stations. Find that at THE EDGEWATER INTERNET RADIO NETWORK! You’re in your car and you notice a stray dog on the side of the road. You will be able to tell because he’ll appear dejected and confused. Your heart stops. You know that you should do something. The first thing , don’t get into an accident. Pull over to the side of the road out of traffic. Consider the safety of the animal. A strange, frightened, and possibly sick or injured animal can behave unpredictably. A sudden move on your part, even opening your car door, can spook her and cause her to dash maybe even onto the highway into oncoming traffic. If possible, restrain the animal. If you have a carrier, try to lure her in. If not, use a leash, piece of cloth, or length of rope to keep the animal from leaving the area. Make sure that you signal approaching vehicles to slow down. Use caution when approaching the animal. If she is afraid or injured, she may try to bite or scratch you. If you’re sure that you can call someone to come and help you, try to lure the animal into your car with food. Close the door and wait for help. It’s not a good idea to try to drive somewhere if the animal is in your car unrestrained. They may get frightened and freak out causing you to have an accident. If you have the animal secure in a crate, then drive to your nearest animal shelter. If you’re not able to safely restrain the animal, call the local animal control agency (in rural areas, call the police or sheriff). Do so whether or not the animal is injured, and whether or not she is wearing an identification tag. Leave your phone number with the dispatcher, and try to get an estimate of how long it may take someone to respond. If possible, stay on the scene to keep an eye on the dog or cat until help arrives. Make sure you report to authorities precisely where the animal is by using road names, mile markers or landmarks. You may decide to take her home and try to find the owner yourself. Make sure that you call your local animal shelter or animal control office first. The owner may have already contacted them. Rest assured that you have done a wonderful thing and hopefully this lost pet will be reunited with it’s owner soon. I would like to thank the Humane Society for providing some of this very helpful information. Remember , your pets count! Listen to great radio on THE EDGEWATER INTERNET RADIO NETWORK!